Kate Mackenzie: Is it the process of working with clay that interests you? 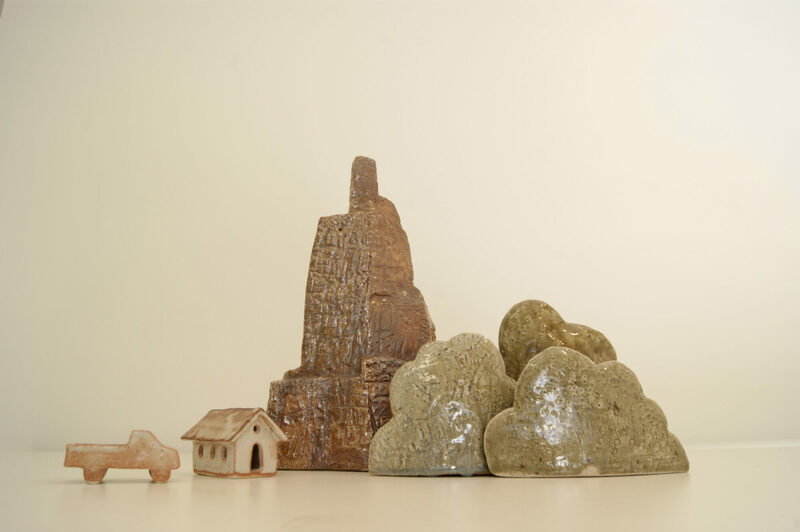 Stephen Roberts: It’s the process and also the nature of clay, which allows me to make a huge range of objects. Also the chemical change that goes on when you fire clay and it becomes ceramic; how you can heat up clay and minerals and they change states. KM: At A–CH Gallery you’re exhibiting your landscape works. Can you describe the process behind your landscape works? Do they reference a particular place, or do they come from somewhere purely imaginative? SR: They are from my imagination. I began making landscape works when I had an exhibition last year, which was about the Sunshine Coast Headlands. I wasn’t trying to represent them realistically, but I ended up telling stories that were connected with the Headlands. The sculptures became like illustrations for the stories. KM: I find that there is a kind of painterly element about your landscape works in the way that they describe a landscape with form and colour. Would you agree with this? SR: Yes. I do practice both painting and drawing. I’ve visited the Headlands a lot and they have become a bit abstract in my drawings, so I am interested in how they can be represented in a two dimensional way. And so the sculptures I made became flatter, which allowed for layering, and having things in front of one another. I’m also a surfer, and I’ve actually been making surfboard fins. So I’m finding that the mountain forms and the treetops often take on the shape of a fin. 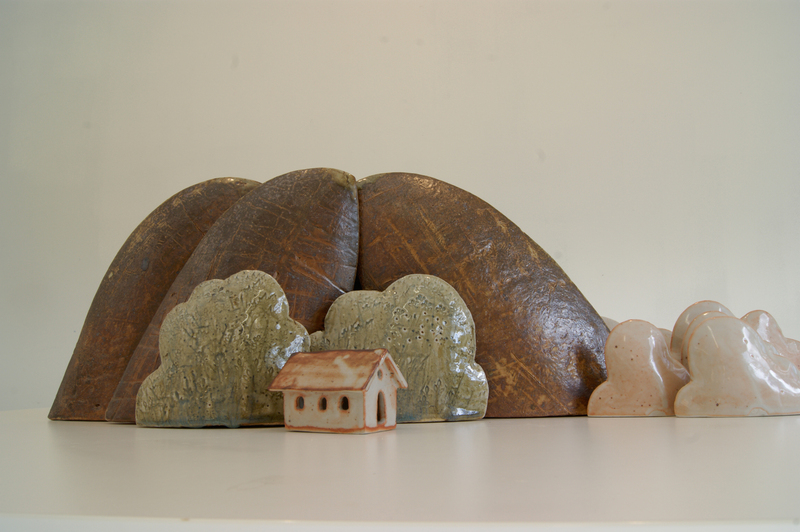 With the landscape works I’m hoping to suggest a narrative, just through the way the objects are arranged.